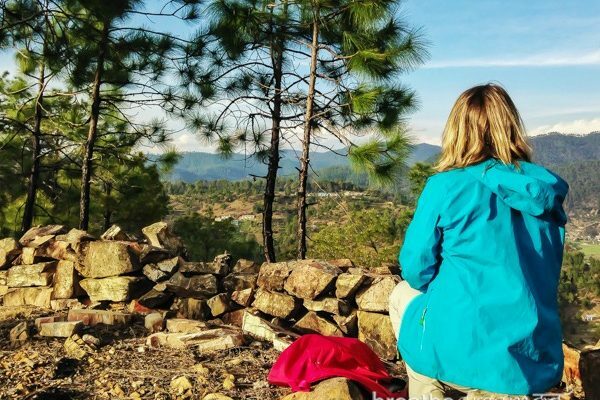 THE LEGEND OF A man-eating tiger hunter, the world’s highest mountain range and a charming holiday hill station are just some of the attractions of lovely Kumaon. 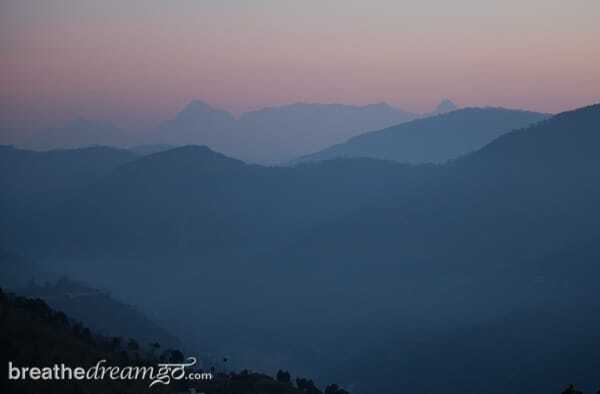 A mountainous region in Uttarakhand, North India, I visited Kumaon in March for the first time. 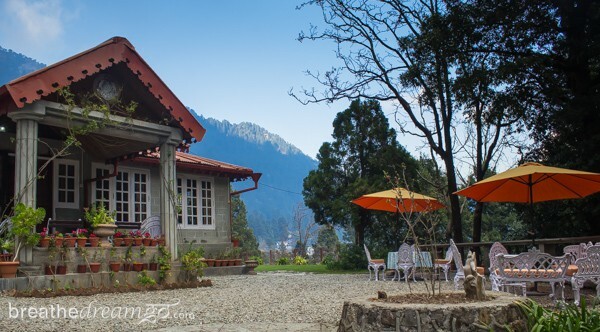 I wrote about my stay at Kosi Valley Retreat with Walk to Himalayas here. From Kosi Valley, I spent a night at a spectacular Junoon in the Hills, a gorgeous Airbnb property with a stunning sunrise view. And then about four days at Abbotsford House (see below). I loved Kumaon as much as I expected to, perhaps more. 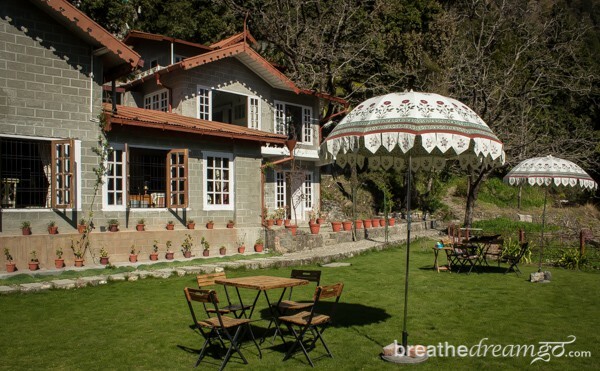 Here are my top 5 reasons to visit Kumaon now. 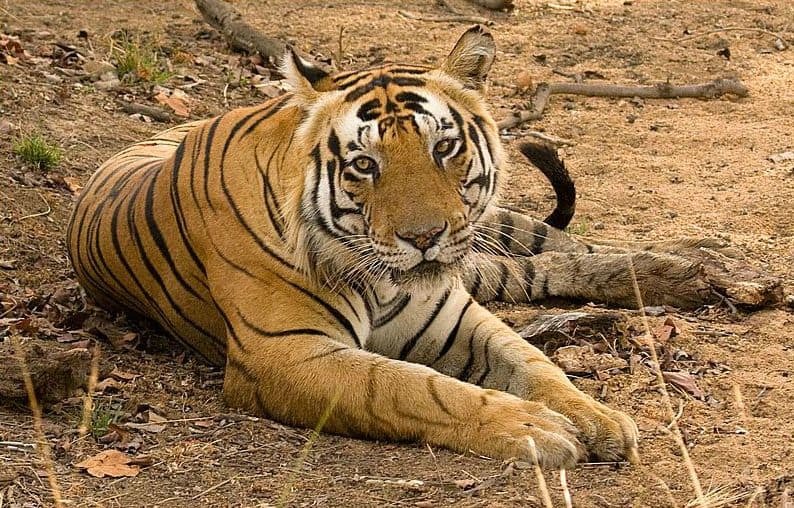 I felt I was with him, stalking man-eating tigers and leopards through the jungles of North India. I spent nights with him, balanced on a tree branch or hiding in a machan, to catch site of the killer by moonlight. From the first book I picked up by Jim Corbett — Man-Eaters of Kumaon — I was hooked, riveted by his story-telling abilities and also by his legend. Along with being a renowned hunter and best-selling author, Jim Corbett was an early conservationist. One day, after many years of hunting that included killing 33 man-eaters, he put down his rifle and picked up a camera, and from that day forward, he never shot another animal. In fact, he spent the rest of his days writing, lecturing and teaching about the importance of preserving and protecting the natural environment. 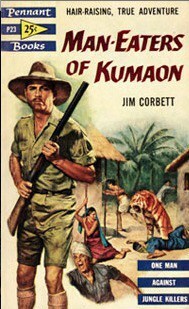 As a long-time fan, Jim Corbett was one of the reasons I wanted to go to Kumaon. I wanted to see the places he wrote about so lovingly in his books. 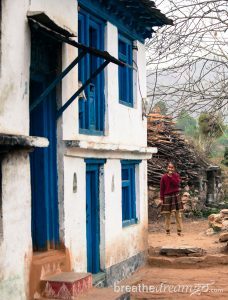 For, Kumaon was not only Corbett’s hunting ground, it was his home. He was born in 1875 in Nainital, and lived there until he moved out of India, to Kenya, in 1947 at the time of independence. While in Nainital, I visited Gurney House, where he lived for many years. The “new” owners have kept things almost as they were, and the place is a kind of living shrine. His trophies, fishing rods, books and furniture are still in the house, which has a ramshackle feeling. Unfortunately, the owners seem to be letting the grounds and outer buildings go to wrack-and-ruin, which is a shame. Jim Corbett is a legend and deserves better. I would love to see the house preserved and turned into a museum. Still, worth the visit, a pilgrimage site for hard-core fans. 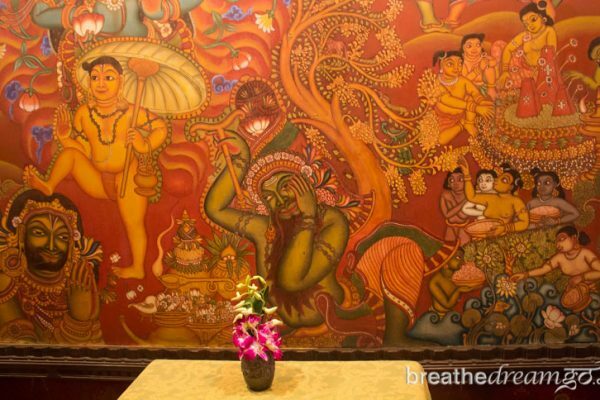 When I arrived at Abbotsford House in Nainital, the manager showed me to my room — a large, Victoria-era chamber with a vaulted ceiling, fireplace and a circular sitting room — and I let out a little gasp. I had walked into a childhood fantasy. One of my favourite movies was The Little Princess with Shirley Temple playing an orphan in Victorian London. 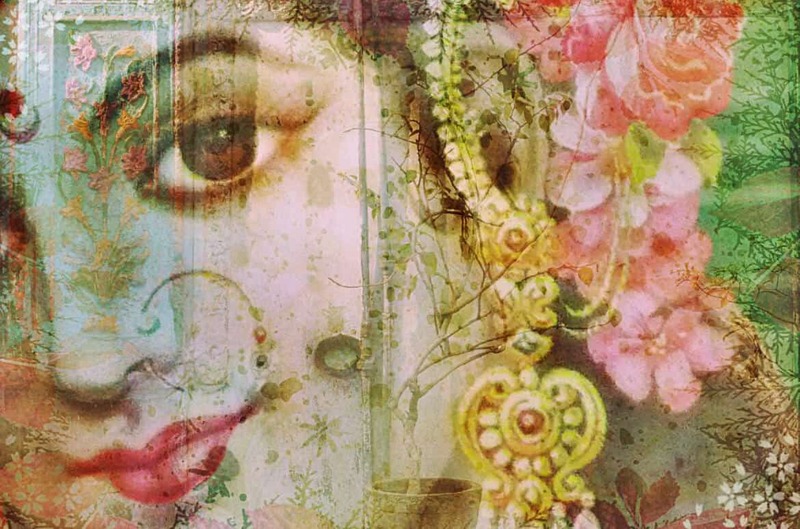 Her kindly old neighbour had an Indian valet, Ram Dass — played by Caesar Romero with turban and parrot — who secretly furnishes her barren room with quilts, a fire, a silk dressing gown and delicious breakfast. Waking up in this grand room, I did indeed feel like a princess. My hostess, Janhavi Prasada, told me that my room had been her grandmother’s, whose habit it was to recite Gayatri Mantra every morning. The essence of this elegant lady’s piety seems still to linger in the nostalgia-infused room. 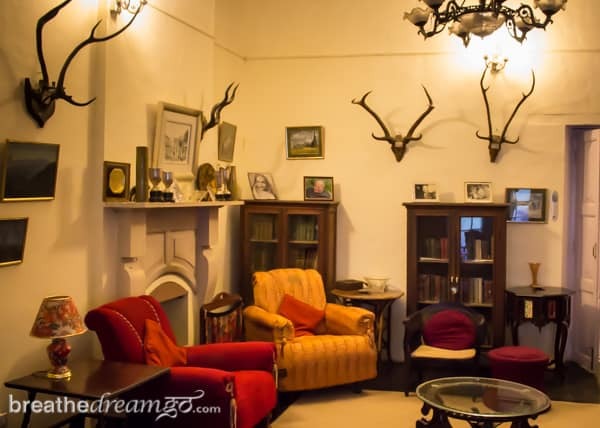 Built in 1876 as the summer home for a British official, Abbotsford House is classic Nainital: A genuine Raj-era home, on the edge of town, with a wide, well-manicured lawn and commanding view of the valley, mountains and forests. The main house is decorated and furnished in a traditional style, with wooden furniture, large portraits and antiquarian books and artifacts. 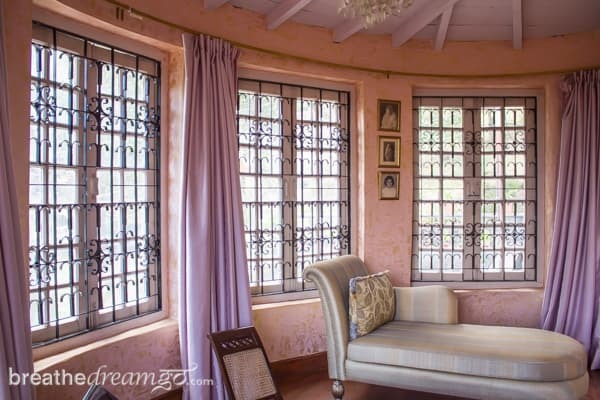 The present owners, Janhavi’s family, the Prasadas — whose ancestors bought the house in 1903 — have made many improvements and additions, including a new wing, The Wordsworth Cottage. The house is not the only thing classic about Abbotsford. So is the service. Janhavi made sure that every detail was perfect, from our multi-course lunches on the lawn to turn down service (which included a hot water bottle). As well as accommodation, they also offer activities, such as cycling, hiking, sailing, golf and bird watching. 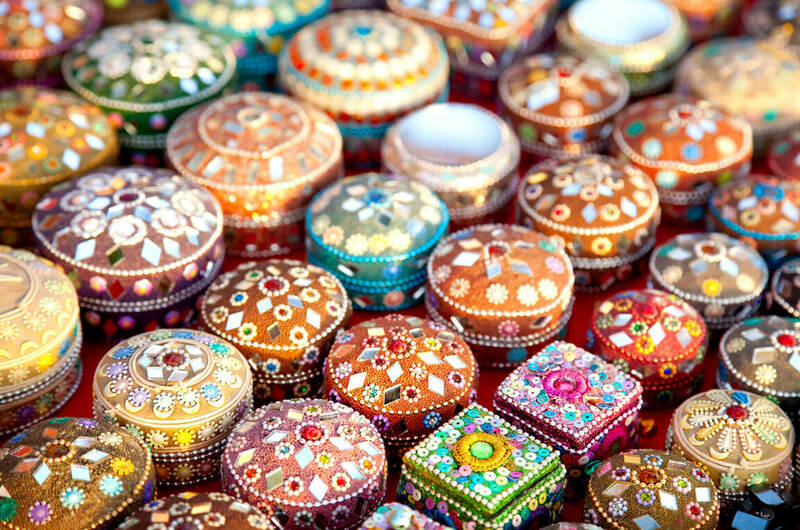 Staying at Abbotsford is a great way to experience the Nainital buffet: outdoor activity, history and holiday fun. Nainital is a Victorian-era tourist town in the lower Himalayas with nostalgia and the atmosphere of family holidays in the air. The rambling town rings a jewel-tone lake hemmed in by steep hillsides stacked with houses, hotels and schools. During the British Raj, Nainital was a hill station, a getaway for people broiling on the plains in Delhi. But it’s much older than that, of course, and has ancient mythological connotations, for the word “nain” refers to the left eye of Shakti. When Lord Shiva was carrying the corpse of Shakti, it is said that her left eye fell here, and to this day there is a Naini Devi Temple at one end of the lake. Janhavi, owner of Abbotsford House, where I was staying, gave me a personal, guided tour of Nainital. Driving the narrow, winding roads was an experience in terror, punctuated by moments of good fellowship and scenic views. I was lucky to be there in March, when the weather was good and the hordes of tourists hadn’t yet arrived. Yet, the roads were still crammed. Janhavi’s connections and long-time residence status opened many doors for me in Nainital. She drove me to Gurney House, home of Jim Corbett, and because of her, we were allowed in for a tour. While Janhavi played golf, I toured the Scottish-baronial Raj Bhawan and walked the rolling hills of the thickly forested golf course, stopping at a Grecian-style pavilion to take in the sweeping view, and again to drink tea served by a chai-walla. From there we drove into town, walked the mall, and had a drink at the Boat House Club before going out for a spin on the lake in a sailboat. The Boat House Club is open to members only, a classic remnant of the Raj era. Renovations left the heavily wooded bar intact, complete with club emblems and uniformed waiters. 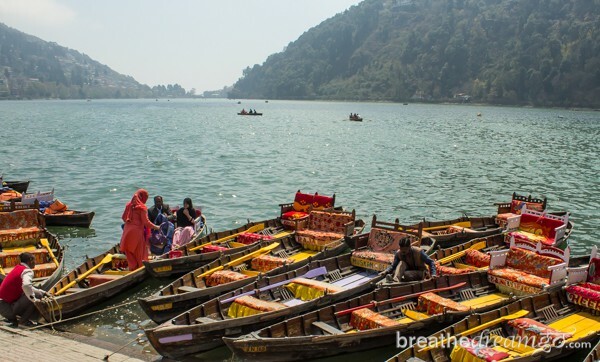 Finally, we walked over to the Naini Devi Temple, and I soaked up the peaceful, lake-side atmosphere amid swirls of incense and the sound of temple bells. By the end, I felt I had experienced ancient, old and new Nainital all at the same time. Walking down a mountain at twilight in Kumaon. Snow peaks in the distance, an owl sitting on a branch above, we come across a small forest temple, an expression of simple sanctity in a natural setting. My guides, Shivraj and Kundan from Walk to Himalayas, remain quiet as golden light sifts through the branches. All I can hear are bird songs among the branches and the crunch of pine needles beneath my feet. Soon we reach a scattering of wooden two-storey houses. They are each painted different colours — deep forest green, ochre yellow, sky blue — and have views out across the Kosi Valley. The hillsides and fields, level with the river below, are a study in pastoral beauty, all greens and golds. 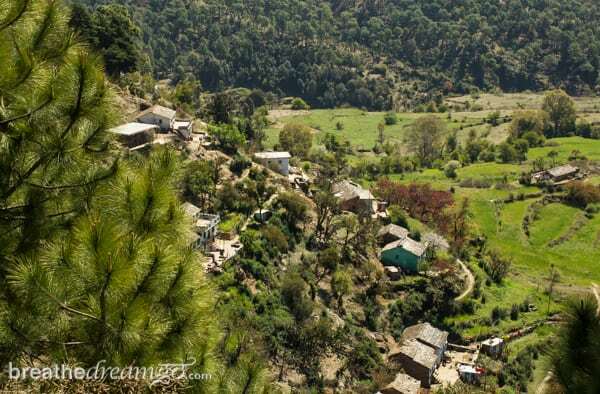 This is a village in Kumaon, and there are many like it, running one into another, with no clear boundary between them. At the first house we reach, a stable houses a couple of placid cows, and a girl waves at us as huge dragonflies fill the twilight air, lending the scene a fairy tale quality. 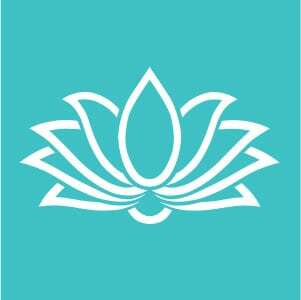 Further along, we are invited for tea by the women of the house, and meet a spry 85-year-old named Parvati. A village walk in Kumaon is lovely thing. 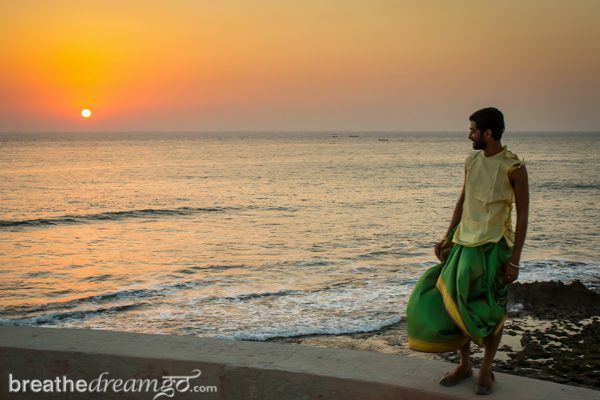 The villages I walked through were clean, welcoming and, though rustic, had an air of prosperity and contentment. The people were very friendly and seemed to have enough. My idyllic moments in Kumaon were of course those of a visitor and it’s very easy to romanticize these scenes. 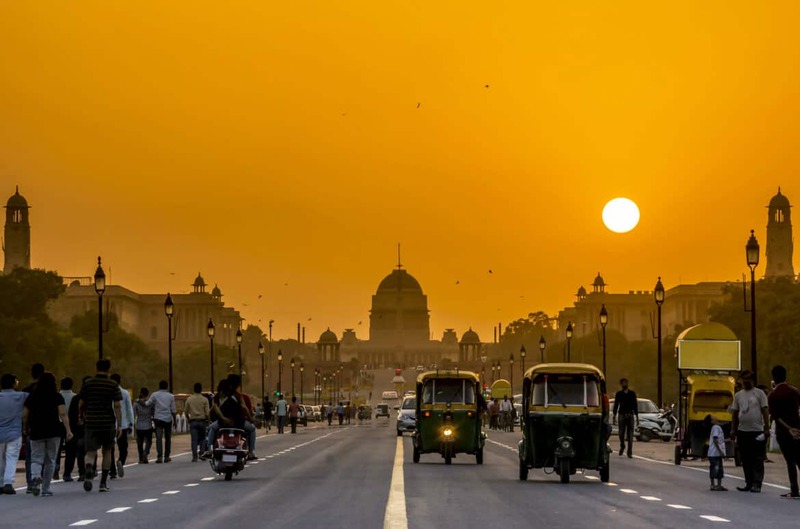 Lack of resources and opportunities often beset villages in India. 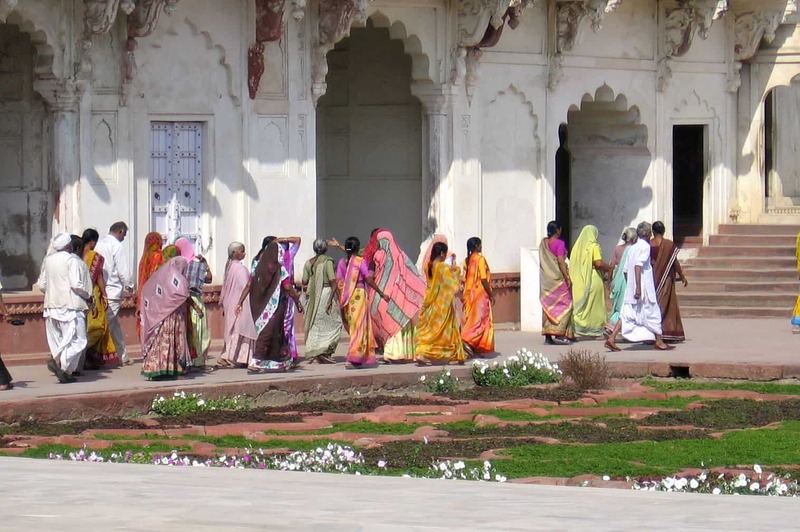 While in Kumaon, I noticed several women’s cooperatives and other programs. My hosts Walk to Himalayas support a local school and Mahila Haat, which provides skill training and fair trade advocacy for local women. 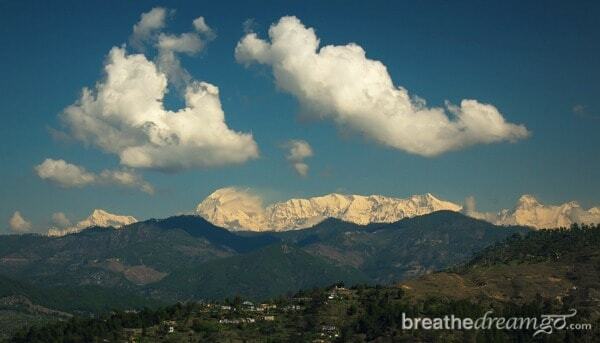 Can anything compare to seeing the soaring white peaks of the Himalayas, silhouetted against a clear blue sky? For as long as I can remember, I have been fascinated by the Himalayas. I spent a red-letter birthday watching the sunrise splash colour across the great white face of Kanchendzonga, the world’s third highest peak, from Tiger Hill in Darjeeling. Flying from Kathmandu to Bhutan, I looked down on Mount Everest. 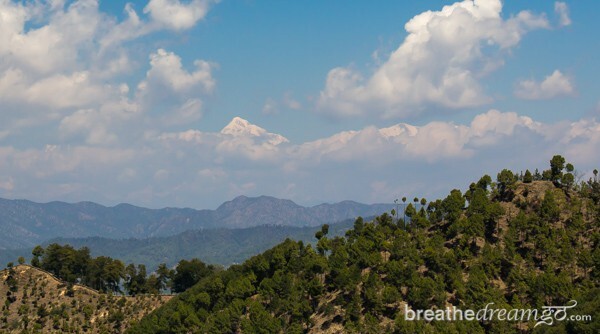 And driving the dizzying roads up, up, up into Kumaon, I was giddy with excitement about seeing Nanda Devi, the tallest and most myth-shrouded peak in Kumaon at 7,816 metres. And sure enough, we rounded one corner, and there they were, the white peaks of the Kumaoni Himalayas with beautiful Nanda Devi standing prominently among the mighty massifs. The Himalaya group is of course one of the world’s great mountain ranges, with nine of the top 10 highest peaks on earth. It traverses a distance of 2,500 kilometres and separates the Indian subcontinent from China and the Tibetan plateau. In Uttarakhand alone, there are at least 10 peaks that are over 7,000 metres high. 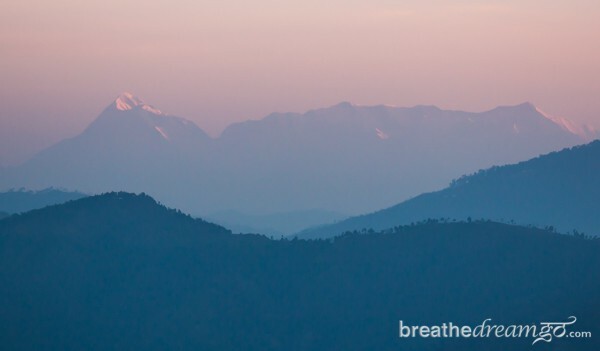 Whether for spiritual, sight-seeing, trekking or mountain-climbing reasons, the Himalayas of Kumaon are one of the best reasons to visit this lovely region. NOTE: I was a guest of Walk to Himalayas and Abbotsford House in Kumaon.